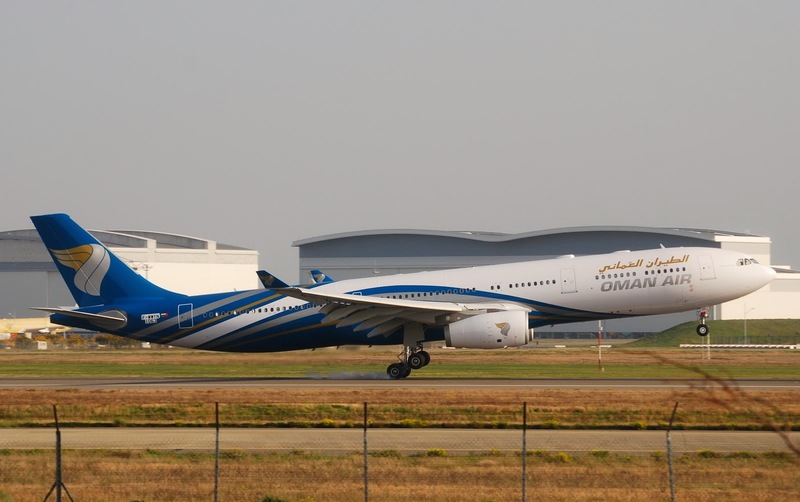 Aviation Updates Philippines - Oman Air, the national airline Oman, is launching much-anticipated new flights between Muscat and Manila starting December 2014. Aside from Manila, the carrier will also launch flights to Jakarta, in Indonesia in the same month. For flights to Manila, Oman Air will be launching its flights with two weekly flights starting December 2, 2014. And starting December 13, 2014, the carrier will be introducing the third weekly flight. Flights between Manila and Muscat will be operated with its Airbus A330-300 aircraft. In the same time, Oman Air will be introducing flights between Muscat and Jakarta flying three flights per week starting December 12, 2014. The fourth weekly flight will also be introduced starting January 2, 2015. The airline will also utilize the Airbus A330-300 aircraft on the said route. Flights to both destinations will depart Muscat around midday and arrive at their destinations in the early morning of the following day, offering convenient timing for travel from the respective airports to capital cities and beyond, and ensuring excellent connections from many of Oman Air's other global destinations. "We are very confident that these new routes will prove popular with visitors from Oman and further afield. In addition, both Manila and Jakarta are important commercial Centre's and we anticipate strong demand from business travelers," Paul Gregorowitsch, Oman Air's Chief Executive Officer said. Oman Air will be the first carrier to operate direct non-stop flights from Muscat to Manila and Jakarta. Both the new routes will meet strong demand from air travelers in Oman, the Philippines and Indonesia. "Oman Air is pleased to be offering, from December this year, two outstanding new services from our home base in Muscat," Gregorowitsch said. "We will be offering flights aboard our award-winning Airbus A330 aircraft, to two of Asia's most important cities, namely Manila and Jakarta. These exciting cities each offer travelers a fascinating view of their countries' vibrant cultures and we are very confident that they will prove popular with visitors from Oman and further afield," he added. Recently, the Manila International Airport Authority declined Oman Air's application to operate at the Ninoy Aquino International Airport last year for planning to fly peak and closed hours, where landing and take off slots are not available.